For a relatively small place Sunningdale boasts quite a wide selection of histories, as listed below. Acknowledgements to the various contributors / authors follows on after the list. A Brief History of Sunningdale was originally penned by Peter O’Kill for inclusion in the Council’s Official Sunningdale Guide 2014. It is reproduced here. 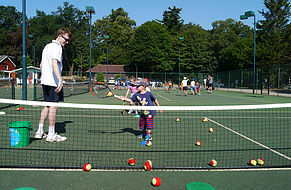 Selected Then and Now pictures of Sunningdale have kindly been made available by John End (the old photos) and Peter O’Kill (the present day equivalents). 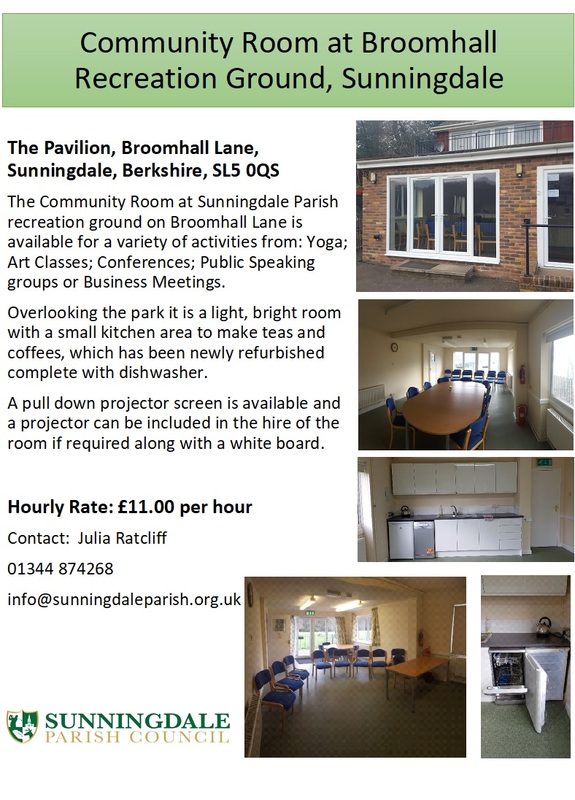 Sunningdale Village Hall was first used on November 23rd, 1909 by the Debating Society. Peter O’Kill wrote this History of the Village Hall as part of the centenary celebrations. “A Short History of Sunningdale”. This book, written by former village Postmaster F.C. Hodder in 1936, has been re-published by his granddaughter Bridget Wade. 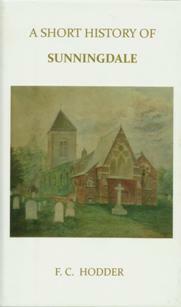 The new version includes a little-known painting of Holy Trinity Church in the 1860s on the front cover and an additional foreword by Mrs Wade, The 150 page hardback book can be obtained for £12 from Mrs Wade at 0774 9659401 or by email. The first property at Sunningdale Park was built circa. 1786. Graham O’Connell’s Notes on the history of Sunningdale Park track the various properties and their owners, right up to recent times when the Civil Service College was based there. The Allotment Movement slowly began to gather momentum from the 1830s. As described in Brian King’s History of Sunningdale Allotments, the Rev. Raffles Flint, vicar of Holy Trinity, set up the current site in the late 1870s. After brief use of an area off Halfpenny Lane in 1912, Sunningdale Bowls Club changed its name to Sunningdale Bowling Club in 1913 and settled into a home on land which formed the Old Vicarage Garden, off Church Road. It eventually moved to its present home in Whitmore Lane in 1921 where many improvements have been made over the years. This booklet has been written to celebrate the Bowling Club’s centenary in 2013. I n this history of SADGA (Sunningdale & District Gardening Association) Peter O’Kill traces its origins back to 1889. This abridged version, which includes an introduction from Alan Titchmarsh, picks up in the story in 1936 when nine professional gardeners from estates and big houses around Sunningdale met to form a provisional committee for a local gardeners’ association. The complete history, along with background information on the various SADGA trophies, can be purchased for £2 from Chris Parnell on 01344 626121 or email sadgainfo@gmail.com. Local historian Peter O’Kill is the main contributor. He has very kindly made available articles that he has written on the History of Sunningdale, and of Sunningdale Village Hall. John End has given permission to show selected pictures of Sunningdale as it was and Peter has provided some present day versions. Peter also contributed towards the History of Sunningdale Allotments which was written by Brian King. Kind thanks to Graham O’Connell, a former lecturer and consultant at the Civil Service College, for access to his notes on the history of Sunningdale Park. Sunningdale Bowling Club has produced a booklet (which resides on the Club’s website) to celebrate its centenary in 2013. It was researched and written by Bob and Betty Montgomery, Peter O’Kill and Hugh Devonald, and designed and produced by Mike Thompson. Most recently, Peter O’Kill has written a booklet to celebrate the 125th anniversary of the Sunningdale & District Gardening Association (SADGA). Finally, mention is made of “A Short History of Sunningdale” by F.C. Hodder, originally written in 1936, which has been re-published in hardback by his granddaughter Bridget Wade.